Beautiful Lake Berkley. It'll blow your mind. 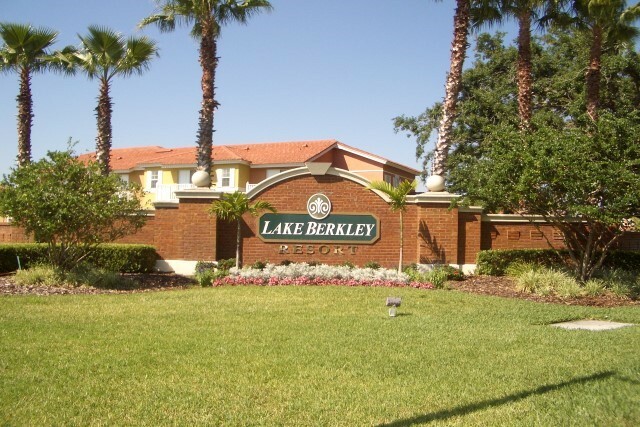 Lake Berkley in beautiful Kissimmee, Florida is a must for families visiting Central Florida located only 10 minutes from Walt Disney World, 15 minutes from Seaworld, and 20 minutes from Universal Studios. Gated with 24 hour security. See for yourself. 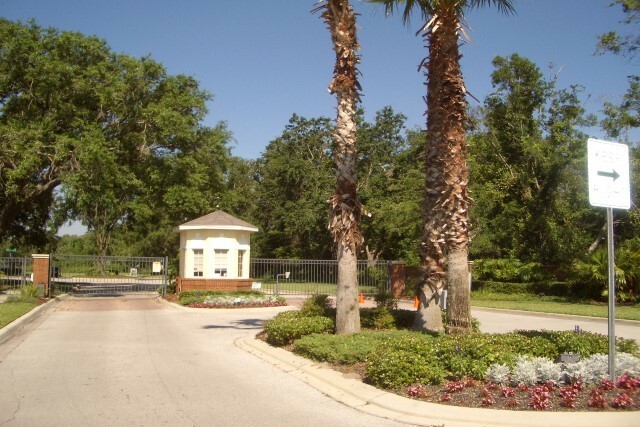 Lake Berkley Resort was completed in 2002 and is a safe, gated and security manned community especially popular with young families. 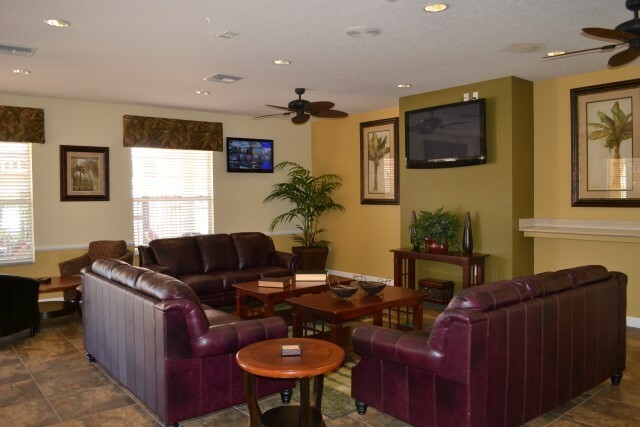 And enjoy the comfy chairs and A/C with the TV optional. Fishing with the odd gator as company. You'd better believe it. 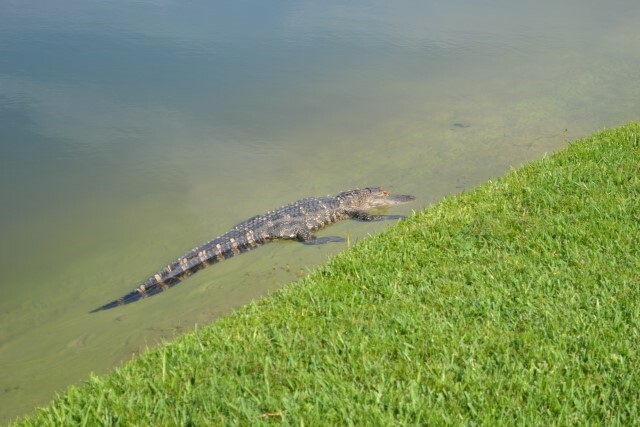 Lake Berkley is set on 3 natural lakes offering fantastic conservation views and an abundance of wildlife including waterfowl, hawks, turtles and even the occasional gator. 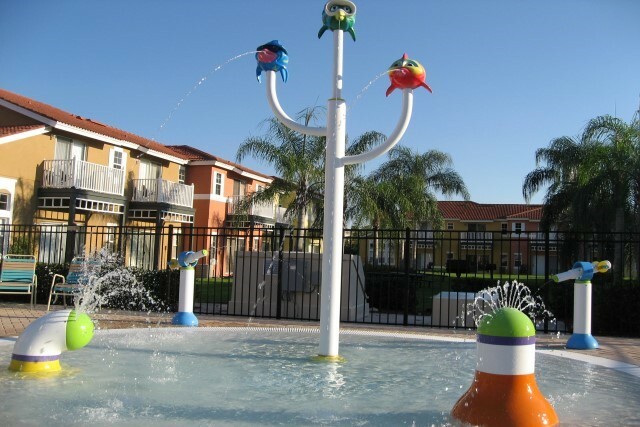 Fantastic resort facilities. See for yourself. Anyone for tennis? Just do it! 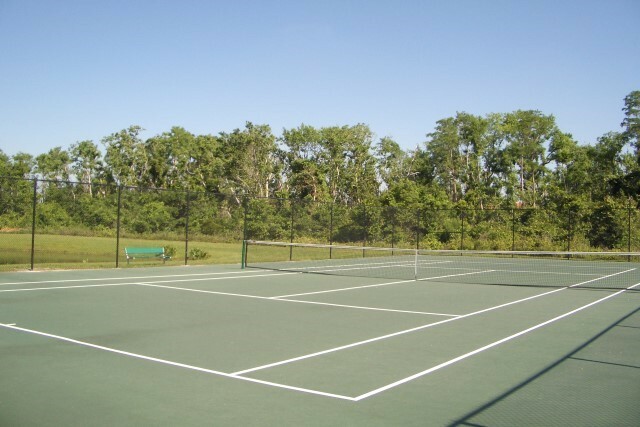 A tennis court is available for guest use and also doubles as a pickleball court. Fancy shooting a few hoops? Indeed you can! 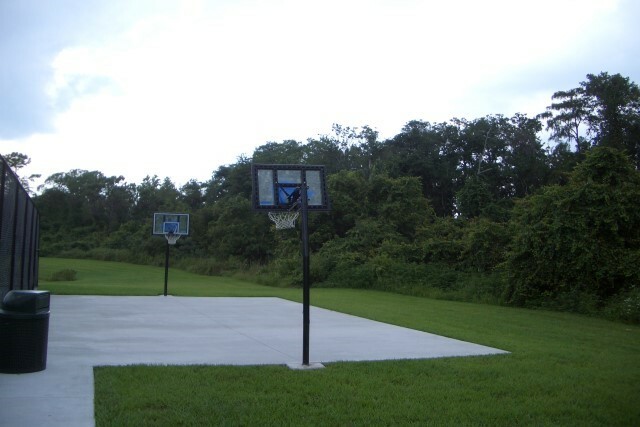 A basketball court is available for you to use and enjoy. Have children? Want to tire them out? 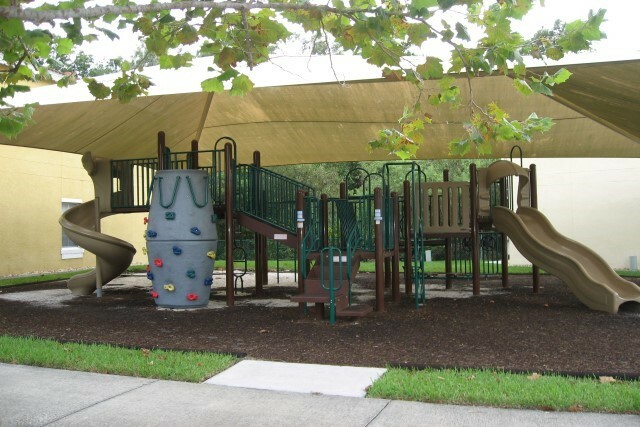 Then let them try the covered play area with various slides and climbing equipment for their amusement. Topgun fan? Then game on! 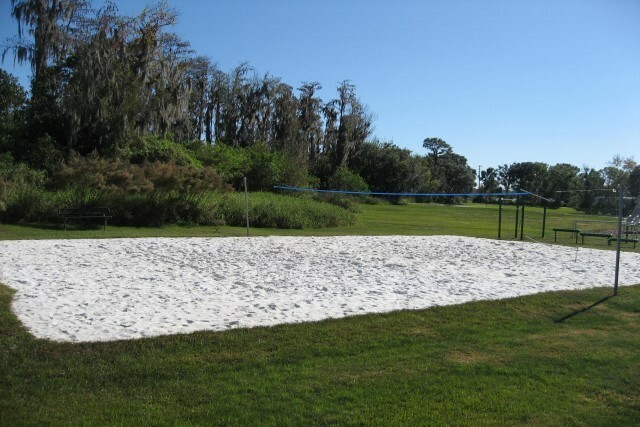 A beach volleyball court is available at the large lake to strut your stuff. Visit to the beach? No need to drive! 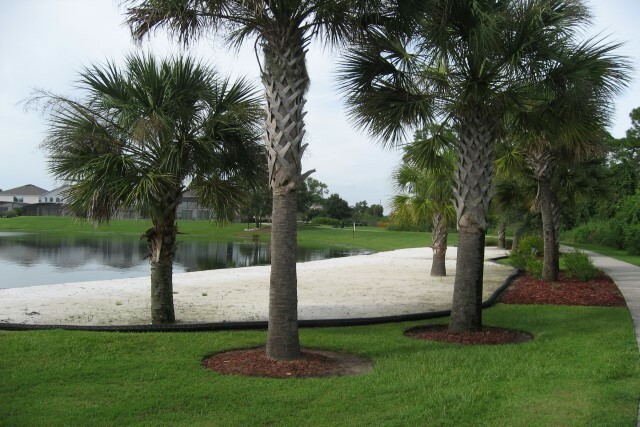 The large lake offers a secluded sandy beach area with the obligatory palm trees. Heat too much? Take a rest from the sun! Fisherman? The pier is the place to go. 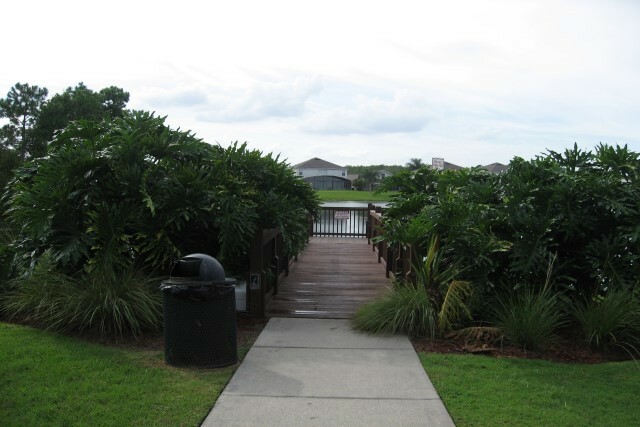 The largest lake at Lake Berkley is well stocked with fish, is spring fed and covers 14 acres providing excellent fishing especially from the fishing pier. Proper swim? 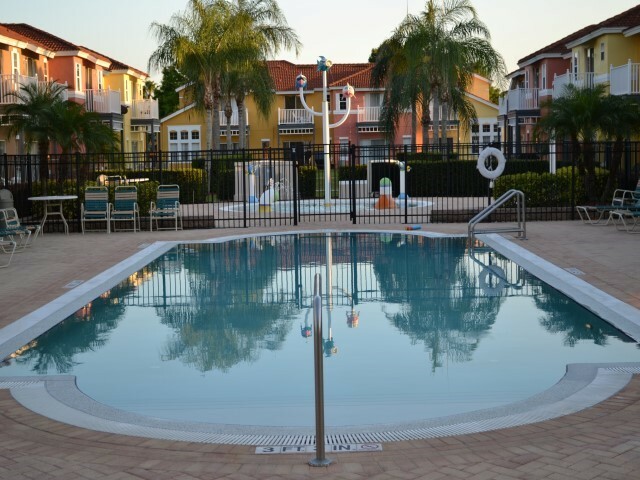 Try the communal pool. 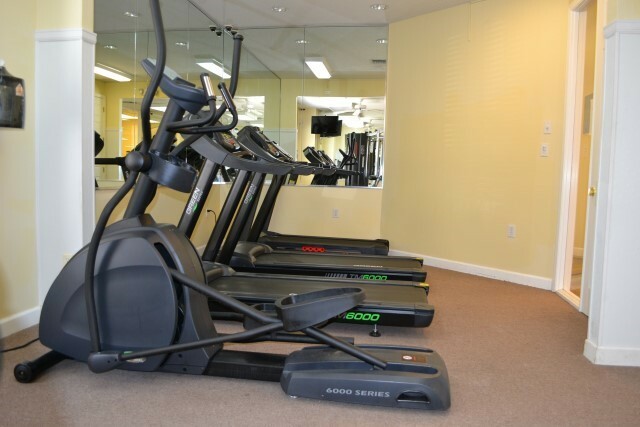 Heated in the winter months and located at the front of the resort behind the clubhouse. Need to relax? How about a spa! 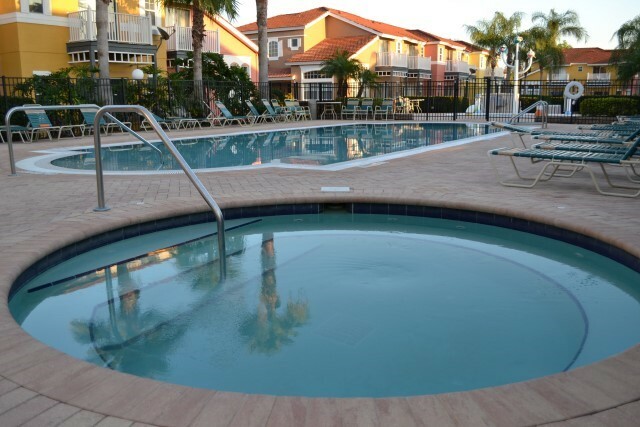 A heated spa is located in the communal pool area. Restless kids? 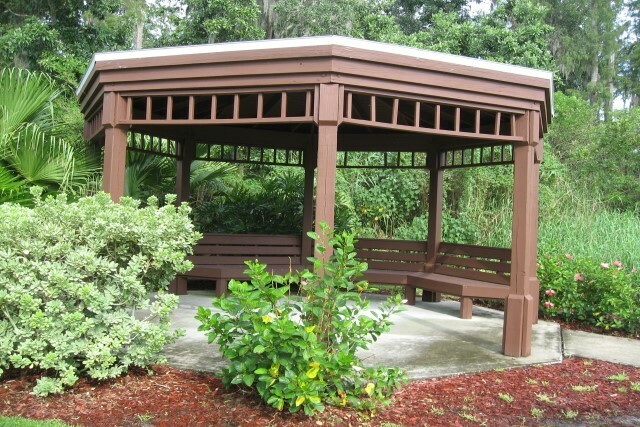 Try the outdoor play area! 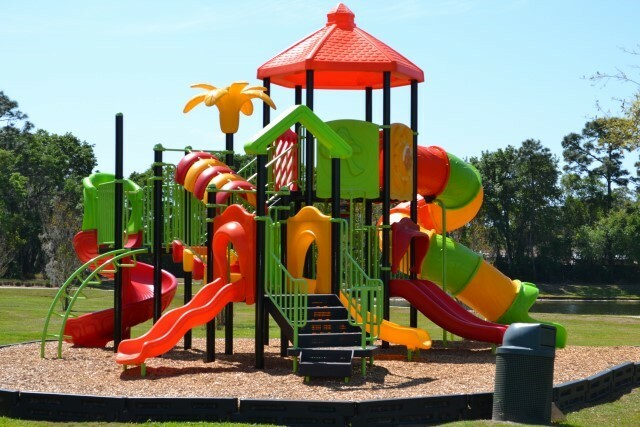 A fantastic outside play area is located at the large lake with various slides. 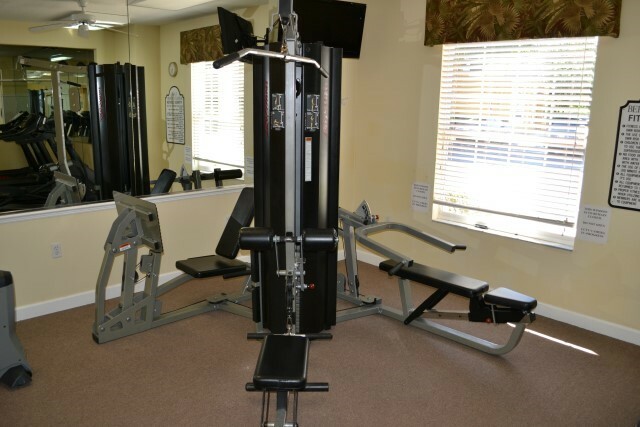 The gym offers both a weights machine and free standing weights to cater for all.